Today is the day that the second book in the Kiya Trilogy releases; Kiya: Mother of a King. To celebrate, Katie has opened up the comments on her blog for you to ask what you want to know about the series. And yes, book 3 is written and contracted so you will be seeing the final installment before you know it. Nefertiti has forced Naomi to flee Amarna with Malachi and the three children. But even under the protection of Naomi’s family in Thebes, Nefertiti still hunts her and Tut. Nefertiti sends assassins to kill them, and while Naomi fights to protect the children, Malachi fights to keep her safe. 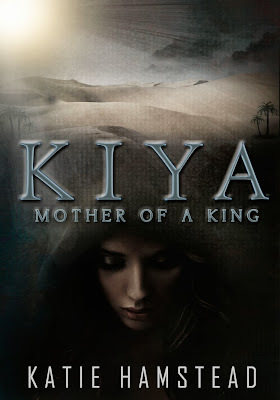 CQ is also hosting a giveaway for Kiya: Mother of a King on Goodreads! So jump in! Giveaway ends November 20, 2013.